Each student has a unique path to mastery within Learning Upgrade. Teachers can assign different lessons for each student, each lesson adapts to a student’s responses, and each student must repeat low scoring lessons to mastery. The 400+ Learning Upgrade lessons cover math and reading standards from grades K to 8, so that each student can start at their learning level and move up. Teachers can assign different courses and lessons to each student in a class, with some students catching up to and others advancing beyond grade level. Each student can navigate their own path to proficiency. 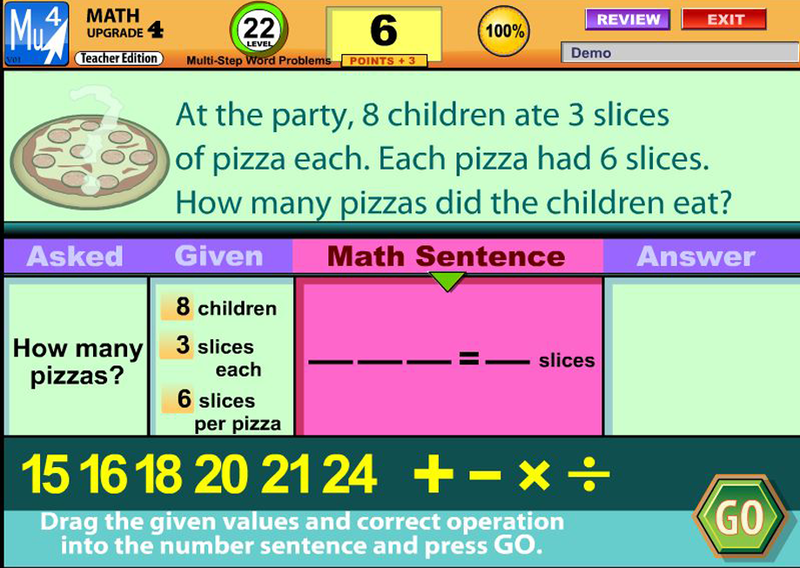 Each lesson in the program adapts as the student solves problems and answers questions. A lesson can move from step-by-step questions to “on-your-own” questions and back based on a student’s performance. Questions start at a basic level and increase in difficulty. When a student answers incorrectly, a voice and animated visuals provide remediation. The goal is to adjust continuously to each student’s ability to learn a lesson topic. 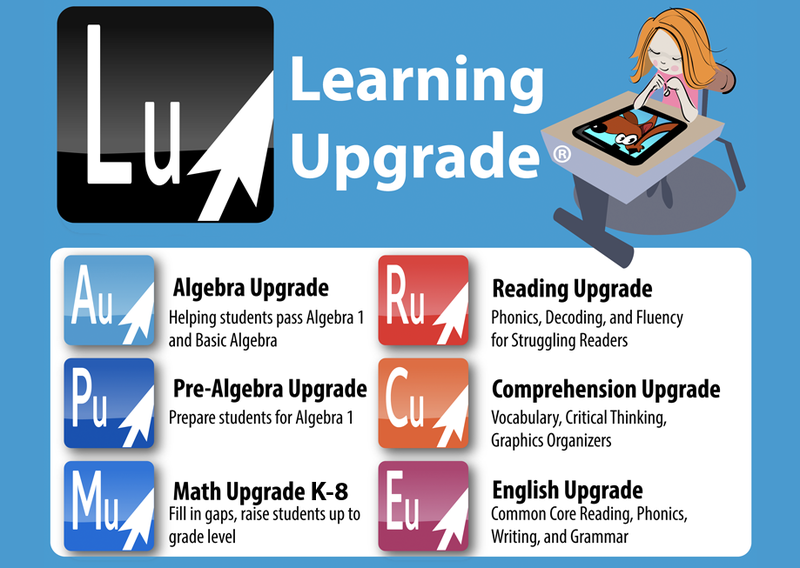 Each student has a unique path to a Gold Certificate of mastery in a Learning Upgrade course. This is because each student will need to repeat different lessons based on their scores the first time through. Students must repeat every lesson in which they scored below 95% until all lesson scores are above 95% to earn a Gold certificate. Each student selects lessons to review until they have achieved mastery of every standard for that grade level. 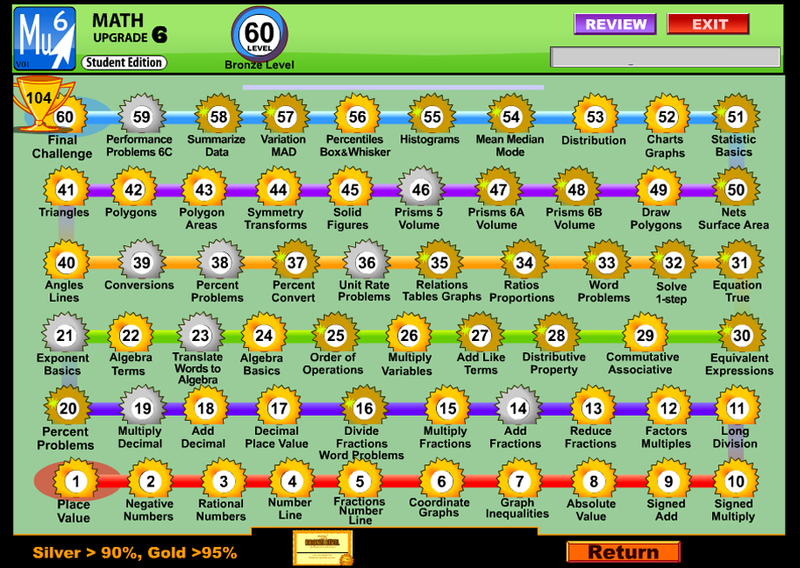 Teachers monitor this progress through graphical real-time reports.